With the Aakash tablet, the Indian government aims to bridge gap between the rural India and the ongoing technology boom. The government will provide the tablet at a subsidised price of Rs. 1,730 to the students. The retail version, UbiSlate, will be available at Rs. 2,999. The ultra low cost of the device has been grabbing the eyeballs worldwide. Let’s have a look at the specs offered by the Aakash tablet. 1.4 million Aakash tablets booked, but where is the support? 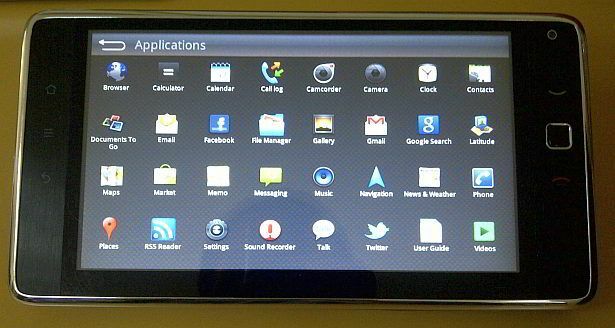 The Aakash is a seven-inch tablet, running Android 2.2 Froyo operating system. It has a seven-inch 800x400 resistive touchscreen and is powered by 366 MHz HD video co-processor. The tablet comes with a 2GB of storage memory, which can be extended up to 32GB via microSD. It has a 256 MB RAM. The device supports document formats: DOC, DOCX, PPT, PPTX, XLS, XLSX, ODT, ODP and can run PDF viewer, Text editor. It has a 2,100 mAh battery which is promised to give 3 hours of backup depending upon usage. For connectivity, the device supports Wi-Fi and can connect a datacard for 3G and GPRS. You can check out more details on specs here. In August, Beetel Teletech launched its low-cost Android 2.2 tablet called “Magiq”. Priced at Rs. 9,999, the Beetel Magiq is an upgraded version of Huawei IDEOS S7. The tablet runs on Android 2.2 Froyo operating system and is powered by 1GHz processor. It has a 512MB memory and supports an 8GB of internal memory, which can be extended up to 16GB via microSD card. Moreover, the Beetel Magiq has a seven-inch resistive touchscreen with a resolution of 800x400 pixels. The device comes with a 2MP frontal and rear cameras. It also features a 2200 mAh battery, Wi-Fi, 3G and Bluetooth connectivity. In addition, it has a SIM card slot, which means you can make and receive calls as well. Check out the full-fledged review of the Beetel Magiq here. 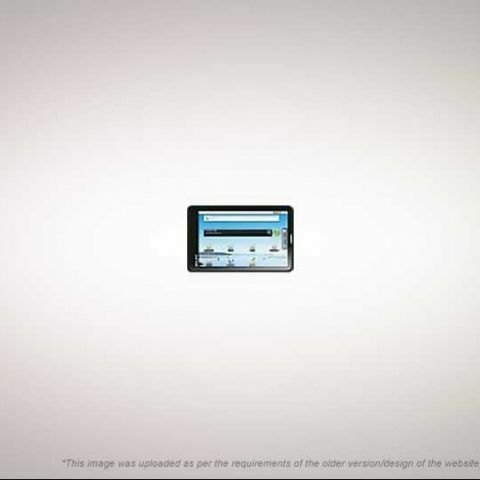 Reliance Communications forayed into the tablet market with its Reliance 3G Tab. Priced at Rs. 12,999, the tablet comes with a number of high-end features along with Reliance's data plans. 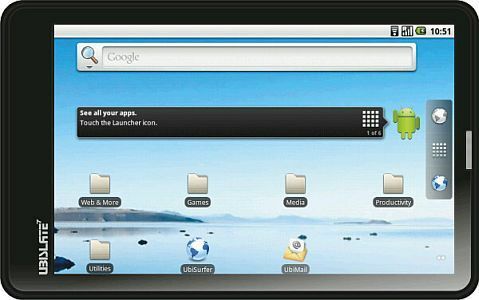 The Reliance 3G Tab runs on Android 2.3.4 operating system and is powered by an ARM11 800MHz processor. It has a 512 MB RAM and comes with a microSD card slot up to 32GB. 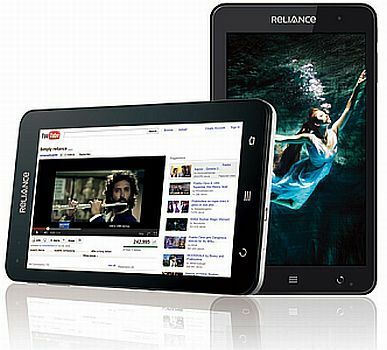 The Reliance 3G Tab has a seven-inch TFT display with 800x480 pixel resolution. Moreover, it has a 2MP rear and VGA front-facing camera. Check out the detailed review of the Reliance 3G Tab here. The Indian tablet market, especially the budget-tablet segment, is currently witnessing an intense competition. However, increasing number of low cost tablets is certainly adding to the confusion for the customers. It will be really interesting to see which of the budget tablet stands tests of time and creates a lasting impact. And in the meantime, we have our iPads and Galaxy tabs. Our eyes are also set on these big brands, how they cope with the raining low cost tablets in the Indian market.